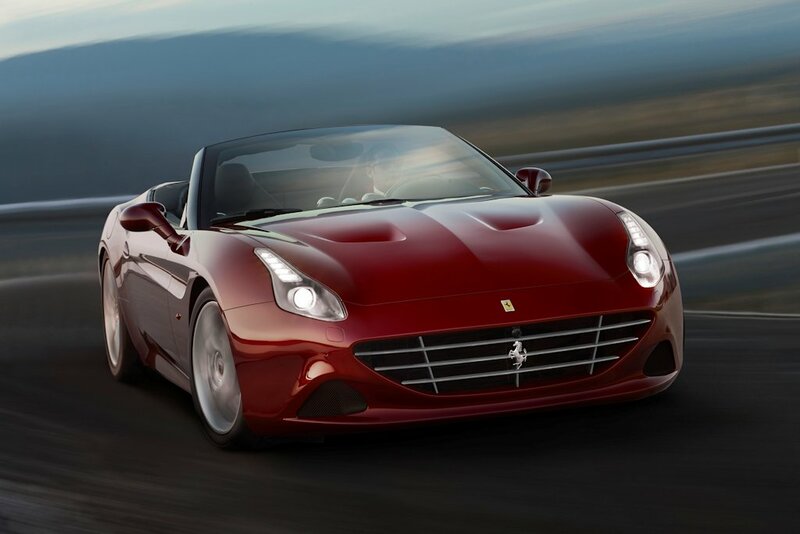 The California T, Ferrari’s immensely successful front-engined V8 model with retractable hard top and 2+ seating configuration, is now available with the brand-new Handling Speciale (HS) option. Clients the world over have been so impressed with the California T’s ideal combination of performance and versatility that it has become the benchmark for all high-performance Grand Tourers. Now, owners looking for an even more sporty driving experience, particularly on challenging, twisty routes, have a new optional package to meet their needs. The Handling Speciale option offers a series of specific calibrations and a set-up that lends an extra edge, especially in the manettino’s Sport mode. This bespoke solution incorporates new damper settings and modified springs that make the car stiffer which, although marginally reducing the ride comfort, results in even sportier feedback, aided and abetted by the new engine sound that increases as revs rise. The gear-shift logic for the Sport mode has been modified (both in automatic and manual), resulting in faster, sportier gear engagement during both up- and downshifts. The HS package also includes 16 percent stiffer front springs and 19 percent stiffer ones at the rear with a consequent increase in body control thanks to lower roll, dive and pitch. The differences in Sport mode are underscored by a new strategy for the SCM3 magnetorheological dampers that increases their speed of response and improves their efficiency. The revised F1-Trac logic helps ensure even better acceleration, particularly when exiting corners and on more bumpy road surfaces. The HS package also includes a new exhaust system with silencers featuring two primary pipes and a new geometry designed to yield an exhaust note that increases progressively as engine speed increases, with a sound in keeping with the car’s more sporty character. The exhaust was developed in tandem with the engine and gearbox control software to underline the performance gains, with a more rapid response and improved sound and volume when driven hard. The exhaust’s new timbre is instantly recognizable as soon as the driver hits the Start button. It is fuller, richer and more involving at all speeds and in all driving situations. On an aesthetic level, certain elements have been highlighted to underscore the HS package’s sporty vocation while still retaining the California T’s signature elegance and sophistication. These include the new front grille in matte Grigio Ferro Met and the rear diffuser in the same color with matte black fences and matte black tailpipes. A special plaque in the cockpit also indicates that the car sports the HS optional package. The new option makes its official debut at the upcoming Geneva International Motor Show.